In order to shed light on the question of whether reliabilism entails or excludes certain kinds of truth theories, I examine two arguments that purport to establish that reliabilism cannot be combined with antirealist and epistemic theories of truth. I take antirealism about truth to be the denial of the recognition-transcendence of truth, and epistemic theories to be those that identify truth with some kind of positive epistemic status. According to one argument, reliabilism and antirealism are incompatible because the former takes epistemic justification to be recognition-transcendent in a certain sense that conflicts with the latter’s denial of the recognition-transcendence of truth. I show that, because the recognition-transcendence of reliabilist justification is significantly weaker than the recognition-transcendence required by a realist conception of truth, antirealist theories of truth that deny the strong transcendence of truth do not threaten the externalist character of reliabilism. 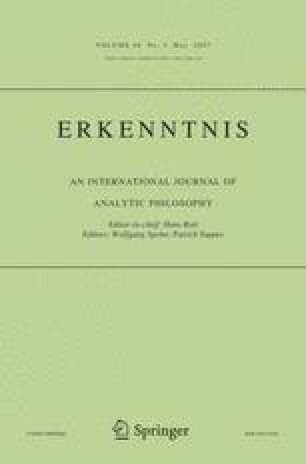 According to the second argument, reliabilism cannot be combined with an epistemic truth theory because reliabilists analyze positive epistemic status in terms of truth but epistemic theorists analyze truth in terms of positive epistemic status. However, I argue that reliabilists who wish to adopt an epistemic theory of truth can avoid circularity by appealing to a multiplicity of positive epistemic statuses. 1.Department of PhilosophyUniversity at BuffaloBuffaloU.S.A.